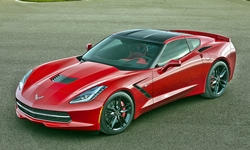 10/14/11 General motors (gm) is recalling certain model year 2011-2012 chevrolet corvette coupe vehicles, manufactured from january 24, 2011, through september 1, 2011, for failing to comply with the requirements of federal motor vehicle safety standard number 206, "door locks and door retention components". the rear hatch hinges may not meet the load requirements specified in the safety standard. Gm will notify owners and dealers will replace both rear hatch hinges free of charge. the safety recall began on october 14, 2011. owners may contact chevrolet at 1-800-630-2438. Gm's safety recall campaign number is 11258.owners may also contact the national highway traffic safety administration's vehicle safety hotline at 1-888-327-4236 (tty 1-800-424-9153), or go to http://www.safercar.gov . 01/18/05 Certain passenger vehicles were produced with one or both rear brake hydraulic lines that can come in contact with or be affected by heat from the left engine exhaust manifold and the left exhaust pipe. the brake fluid could reach elevated temperatures and boil. General motors recall no. 04086.customers can also contact the national highway traffic safety administration's auto safety hotline at 1-888-dash-2-dot (1-888-327-4236). 10/27/14 Brakes and Traction Control General motors llc (gm) is recalling certain model year 2015 chevrolet corvette vehicles manufactured august 20, 2014, to september 4, 2014. in the affected vehicles, only one of the rear parking brake cables may be fully seated and engaged, resulting in the parking brake only operating on one of the rear park brake drums. without the parking brake working on both rear wheels, the vehicle may roll away if parked on a steep gradient. as such, these vehicles fail to comply with the requirements of federal motor vehicle safety standard no. 135, "light vehicle brake systems." 02/23/15 Suspension and Steering General motors llc (gm) is recalling certain model year 2015 chevrolet corvette vehicles manufactured september 26, 2014, to october 2, 2014. in the affected vehicles the toe link outer ball joint on the rear suspension may not have been properly tightened during the assembly process. the toe link may loosen with the vehicle use and eventually separate. 08/18/14 Suspension and Steering General motors llc (gm) is recalling certain model year 2014 chevrolet corvette vehicles manufactured february 12, 2014, to march 14, 2014. due to an improper weld on the rear shock absorbers, the shock absorber tubes may separate from the shock absorber clevis brackets resulting in a sudden change in vehicle handling. 04/30/10 Suspension and Steering Gm is recalling certain model year 2005 and 2006 chevrolet corvette passenger cars manufactured between march 2004 and january 2006 equipped with a tilt and telescoping steering column (rpo n37). in rare cases, repeated movement of the steering column may cause a signal interruption within the column. if this occurs, the message, "service active handling system" will appear in the driver information center, and one or more of the brakes may apply, possibly causing the vehicle to pull to the right or left. Gm's recall campaign number is n100118.owners may also contact the national highway traffic safety administration's vehicle safety hotline at 1-888-327-4236 (tty 1-800-424-9153), or go to http://www.safercar.gov . 08/25/04 Suspension and Steering On certain passenger vehicles involved in this campaign, the lower control arm ball stud nut/washer assemblies with washers were made of the wrong material. the washers may fracture and become loose or fall away from the vehicle, reducing clamp load. separation of the control arm ball stud and steering knuckle, due to disengagement of the tapered attachment and retaining nut, is possible. Gm recall no. 04043. customers can also contact the national highway traffic safety administration's auto safety hotline at 1-888-dash-2-dot (1-888-327-4236). 04/26/04 Suspension and Steering On certain passenger vehicles equipped with electronic column lock systems (ecl), when the ignition switch is turned to "lock," the ecl system prevents turning of the steering system. when the vehicle is started, the ecl unlocks the steering system. the vehicle is designed so that if the column fails to unlock when the vehicle is started and the customer tries to drive, the fuel supply will be shut off so that the vehicle cannot move when the vehicle cannot be steered. if voltage at the powertrain control module is low or interrupted, however, the fuel shut off may not occur and the vehicle can be accelerated while the steering system is locked. also when the control system shows that the ecl is unlocked and the vehicle is being driven, the lock pin location can vary. depending on the location of the lock plate relative to the switch transition point, there could then be contact between the lock plate and pin causing the steering to lock while driving . 01/02/15 Electrical and Air Conditioning General motors llc (gm) is recalling certain model year 2005-2007 chevrolet corvette vehicles manufactured march 29, 2004, through june 22, 2007. in the affected vehicles, the underhood bussed electrical center (ubec) housing can expand and cause the headlamp low beam relay control circuit wire to bend. if the wire is repeatedly bent, it may fracture causing a loss of low beam headlamp illumination. 10/29/14 Electrical and Air Conditioning General motors llc (gm) is recalling certain model year 2015 chevrolet corvette vehicles manufactured august 20, 2014, to august 27, 2014. in the event of a driver frontal air bag deployment, the driver air bag module back plate may fracture, allowing the driver air bag to separate from the steering wheel. 08/07/14 Electrical and Air Conditioning General motors llc (gm) is recalling certain model year 2014 chevrolet corvette vehicles manufactured november 20, 2013, to march 25, 2014, and equipped with optional sport seats. the seats do not meet internal specifications for injury protection in relation to an unbelted young child. In the event of a crash necessitating side impact air bag deployment, an unbelted young child may be at an increased risk of neck injury. Gm will notify owners, and dealers will replace the passenger's side impact air bag, free of charge. the recall is began in early august 2014. owners should not allow small children to ride in vehicles unbelted or in the front passenger seat. owners may contact chevrolet customer service at 1-800-222-1020. gm's number for this recall is 14240. 08/01/14 Electrical and Air Conditioning General motors llc (gm) is recalling certain model year 2014 chevrolet corvette vehicles manufactured april 23, 2014 to april 25, 2014. in the affected vehicles, the sensing and diagnostic module (sdm) may experience an internal short circuit, resulting in the deactivation of the air bags and seat belt pretensioners. 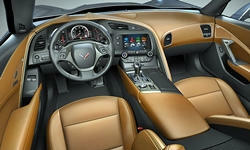 Gm will notify owners, and dealers will replace the sensing and diagnostic module (sdm), free of charge. the recall began on august 1, 2014. owners may contact general motors customer service at 1-800-222-1020. gm's number for this recall is 14219. 08/01/14 Other General motors llc (gm) is recalling certain model year 2014 chevrolet corvette vehicles manufactured april 23, 2014 to april 25, 2014. in the affected vehicles, the sensing and diagnostic module (sdm) may experience an internal short circuit, resulting in the deactivation of the air bags and seat belt pretensioners. 04/21/10 Other General motors is recalling certain model year 2005 through 2007 corvette vehicles equipped with a removable roof and model year 2006 and 2007 corvette z06 vehicles. the adhesive between the roof panel and the frame may separate. if there is a partial separation, the driver may notice one or more symptoms, such as a snapping noise when driving over bumps, wind noise, poor roof panel fit, roof panel movement/bounce when a door or hatch is closed, or a water leak in the headliner. Gm safety recall no. 090230.owners may also contact the national highway traffic safety administration's vehicle safety hotline at 1-888-327-4236 (tty 1-800-424-9153), or go to http://www.safercar.gov . 10/19/06 Other On certain 2005-2006 chevrolet corvettes equipped with painted roofs, the adhesive between the roof panel and the frame may separate. Dealers will inspect vehicles free of charge for potential roof panel-to- frame separation and add the specified adhesive foam or replace the roof with one having adhesive foam. the recall began on october 19, 2006. owners may contact chevrolet at 1-800-630-2438.